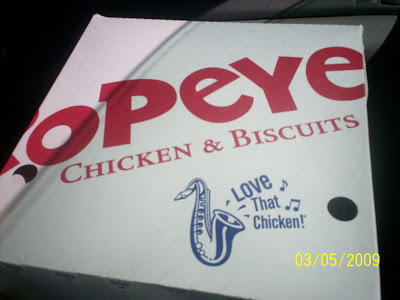 I must admit that I love fried chicken and my favorite is Popeyes fried chicken. 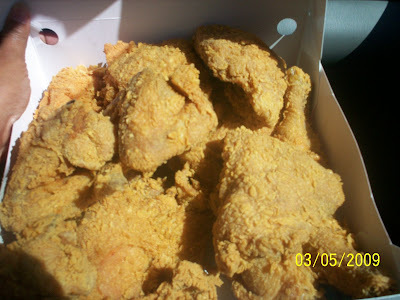 I like the way how they seasoned their chicken and oh so crunchy! Well, I bought this 13 pieces for the whole family while we went fishing at National Seashore Park in Ocean Springs, Mississippi. Yes! Definitely " Love that chicken" and I am BONAFIDE! hehehe...that is the saying in the ad. 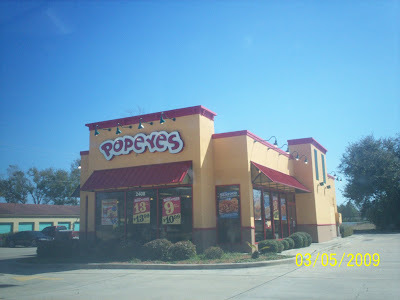 This is the cute building of Popeyes. Not crowded right? You bet! We are the first customer when they open at 10AM.